Radja Nainggolan has been left out of Belgium’s 28-man provisional squad for the World Cup, head coach Roberto Martinez has confirmed. The Roma midfielder is the most high-profile omission from Martinez’s initial group, which will be reduced to a final 23 after the friendly match against Portugal on June 2. Nainggolan has had a difficult relationship with Martinez but was restored to the national team set-up for the friendly match with Saudi Arabia in March. However, the 30-year-old reportedly missed the final session of their training camp for unspecified reasons, prompting suggestions his World Cup hopes were in jeopardy. Martinez, though, insists the decision is purely tactical, claiming the midfielder has not been picked because he cannot be given the same role for Belgium that he plays for Roma. “First and foremost, we all know Radja is a top player, there is no question about that,” he told a news conference. Our #WorldCup squad list ! “It is a tactical reason. In the last two years, the team has worked in an offensive way, in a very specific manner. “In the case of Radja, we all know he has a very important role at club level and I don’t think we can give him that in the national team. “I travelled to see him yesterday in Rome and we had a very good conversation. The decision is not an easy one, I understand how popular the player is, but we have to create the team to try to become a winning team. 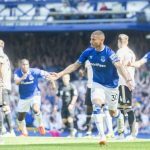 Martinez had been expected to name his final squad on Monday but has instead opted to give himself more time to make his final decision. Michy Batshuayi has surprisingly been included, despite missing Borussia Dortmund’s last four Bundesliga games of the season with an ankle injury, while Crystal Palace striker Christian Benteke was also named. Dedryck Boyata, Nacer Chadli and Adnan Januzaj have been given the chance to stake a claim for a World Cup spot. Belgium begin their World Cup campaign against Panama on June 18, before facing Tunisia and England. Koen Casteels (Wolfsburg), Thibaut Courtois (Chelsea), Simon Mignolet (Liverpool), Matz Sels (Newcastle United); Toby Alderweireld (Tottenham), Dedryck Boyata (Celtic), Laurent Ciman (Los Angeles FC), Christian Kabasele (Watford), Vincent Kompany (Manchester City), Jordan Lukaku (Lazio), Thomas Meunier (Paris Saint-Germain), Thomas Vermaelen (Barcelona), Jan Vertonghen (Tottenham); Nacer Chadli (West Brom), Kevin De Bruyne (Manchester City), Mousa Dembele (Tottenham), Leander Dendoncker (Anderlecht), Marouane Fellaini (Manchester United), Adnan Januzaj (Real Sociedad), Youri Tielemans (Monaco), Axel Witsel (Tianjin Quanjian); Michy Batshuayi (Chelsea), Christian Benteke (Crystal Palace), Yannick Carrasco (Dalian Yifang), Eden Hazard (Chelsea), Thorgan Hazard (Borussia Monchengladbach), Romelu Lukaku (Manchester United), Dries Mertens (Napoli).